Latest Ofsted - Our school was last inspected on 7th - 8th February 2017. We are now officially a good school. Our thanks go to all parents, carers, staff, pupils, governors and parishioners who have helped make this happen. We are so grateful, as always, for your kind support and are delighted all the hard work has been recognised and named in this report. All at OLSP truly believe our school can now build on the areas for improvement within this report, move from strength to strength; Living, Loving and Learning Together in God's Way. 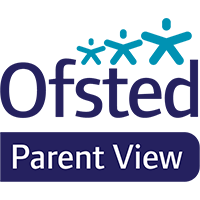 If you wish to tell Ofsted what you think about our school, you can compelte the Parent View Survey by clicking on the link below. The survey can be completed at any time. You do not have to wait until our school is being inspected. Click on 'Give your views' to register then complete the survey. If you wish to tell Ofsted what you think about our school now, you can complete the Parent View survey here.